Fusion cuisine is simply where specific features taken from two or more food cultures are combined to create an altogether new food recipe. It could be ingredients, cooking techniques or even serving suggestions which are fused in this way. The concept is something which turns a lot of people off, probably due to the reputation it obtained a few decades ago. What happened was that frequently the productions were so outlandish and conceptually unappealing that fusion cuisine became a source of ridicule in many influential quarters and largely went out of fashion. 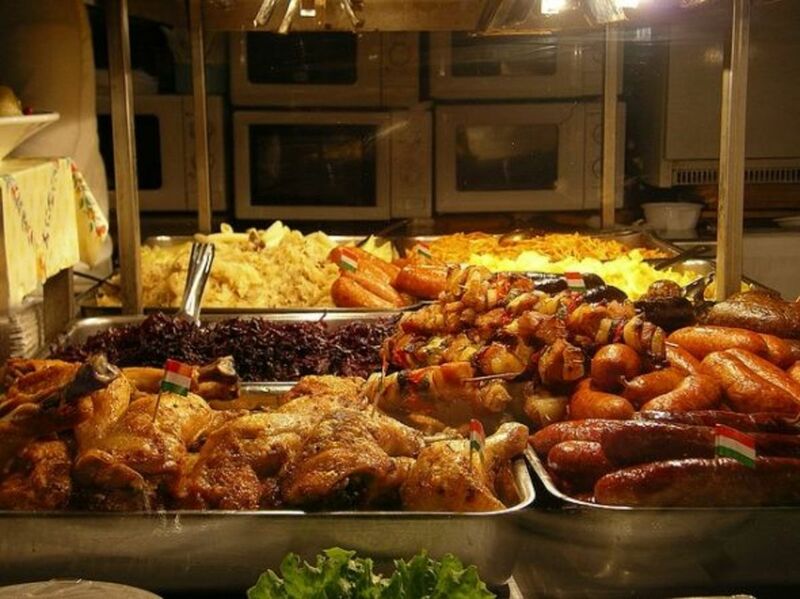 If you think about it, though, virtually every food recipe in the world originally came about through a form of fusion and experimentation, meaning in a sense that anyone wanting to create new and imaginative food recipes can not discount and abandon the principles altogether. 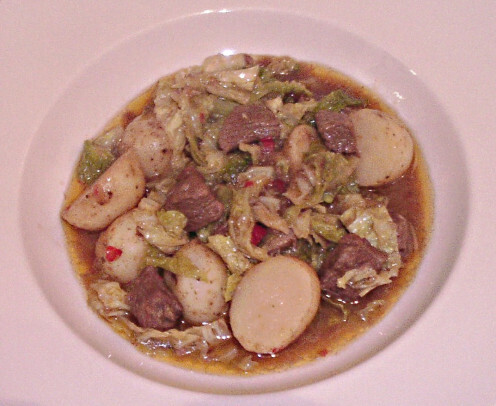 An Irish stew is usually a combination of lamb in stock with vegetables such as potatoes, carrots and onions. This stew recipe does hold true to this concept in a sense but it is spiced up Mexican style with the addition of both red and green chillies as well as some fajitas spice mixture (supermarket bought). Irish and Mexican fusion cuisine may sound unlikely and strange but the served stew in this instance was absolutely delicious. 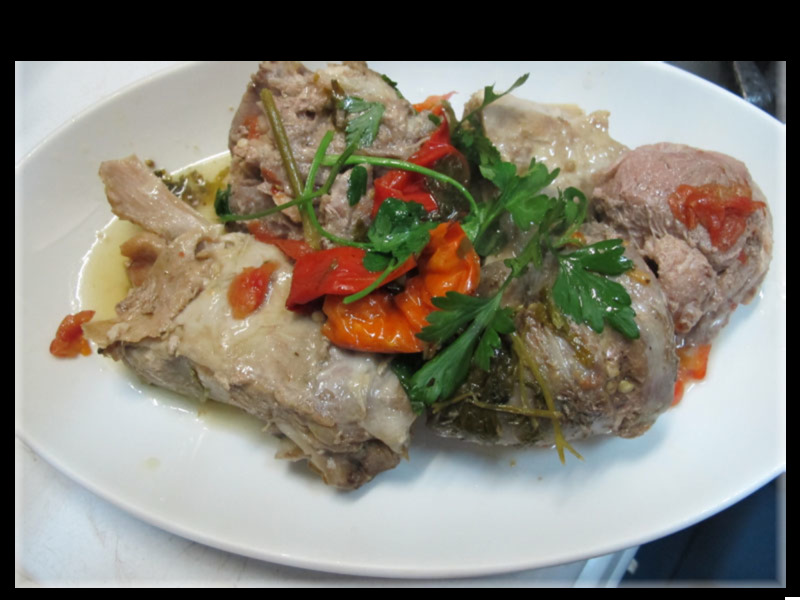 Dice the lamb in to approximately one inch chunks if this has not already been done for you by your butcher. 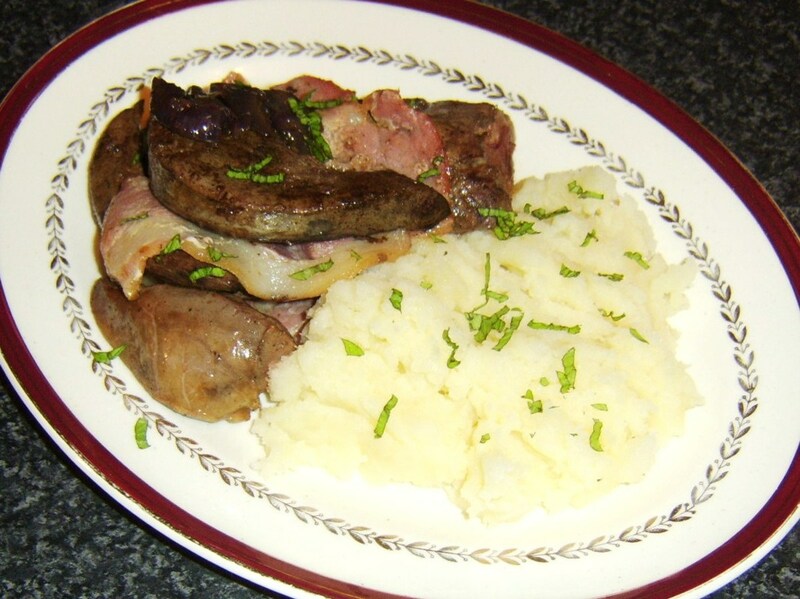 It is important not to discard any fat as this equals flavour and also helps to keep the meat moist and tender as it cooks. Don't worry - it will all render down during the cooking process and you will not be left with fatty bits of meat. Slice the peeled onion half and peel and thinly slice the garlic clove. 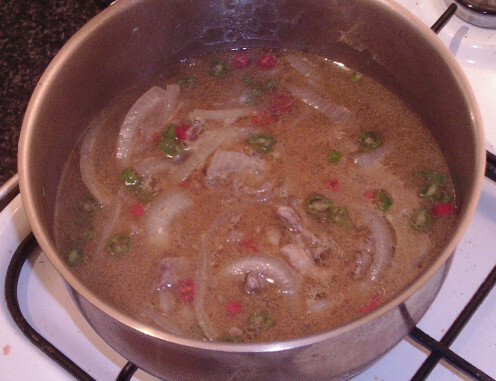 Pour the oil in to a large saucepan or stew pot and gently heat. 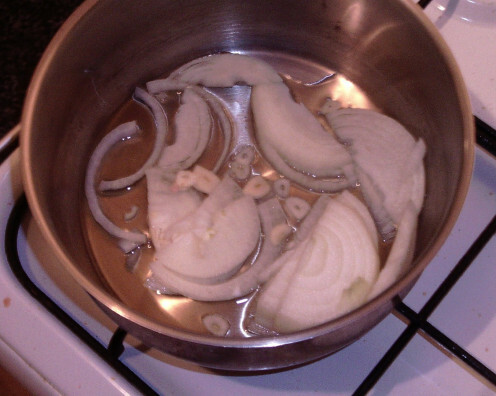 Add the onion and garlic and saute over a medium heat for a minute or two, stirring all the time with a wooden spoon, until the onion pieces are starting to soften and turn translucent. 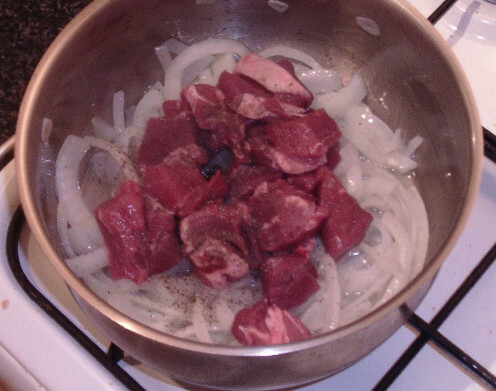 Add the lamb to the onions and season with a bit of salt and pepper. Turn the heat up slightly under the pan and cook in a similar way as before until the lamb pieces are evenly browned and sealed. 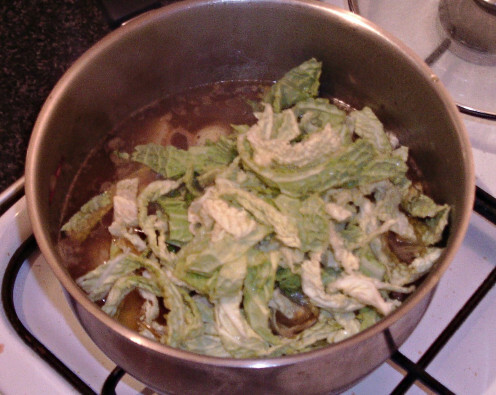 Pour the stock in to the pot and turn up the heat until the liquid just begins to simmer. Cut off and discard the tops of the chillies before moderately thinly slicing. Add to the pot along with the fajitas spice and stir well. 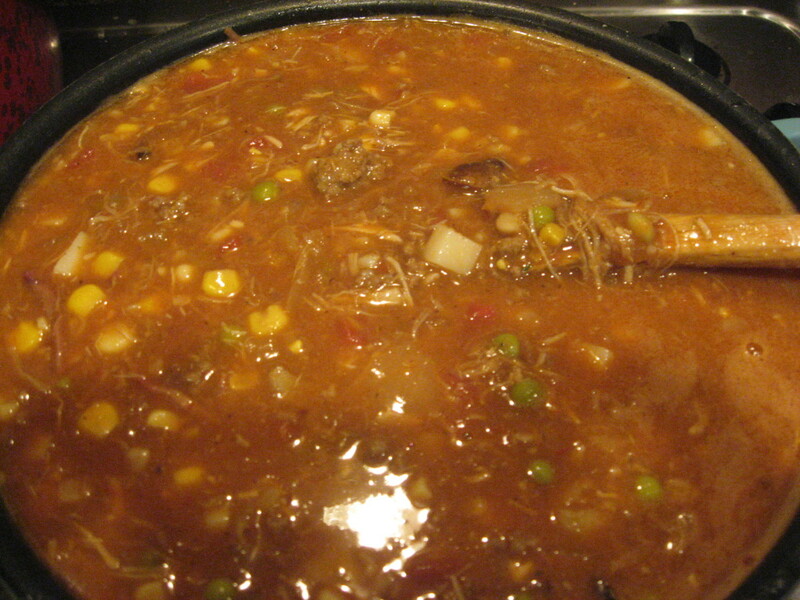 Bring back to a simmer, cover and simmer as gently as possible for one and a half hours. Check the pot occasionally, give everything a gentle stir and make sure above all that the liquid level is not getting too low. You shouldn't have to but if necessary, you can add a little boiling water. 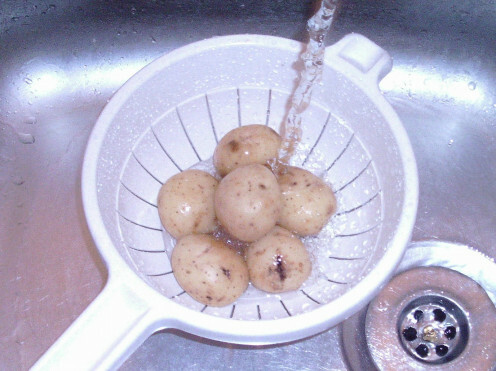 Wash the potatoes well in lukewarm water and scrub if necessary. Carefully remove any "eyes" with the point of a sharp knife but don't peel them unless the skin is so damaged it is necessary. Cut each of them in half across the way. 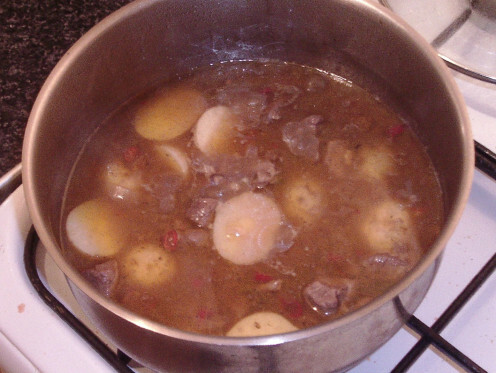 When the stew has simmered for an hour and a half, add the potato halves and stir them through. 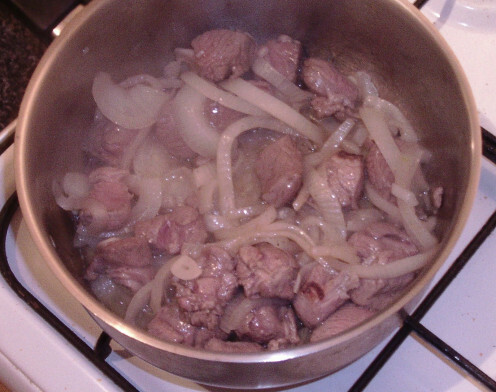 Bring back to a gentle simmer and cook for twenty more minutes. 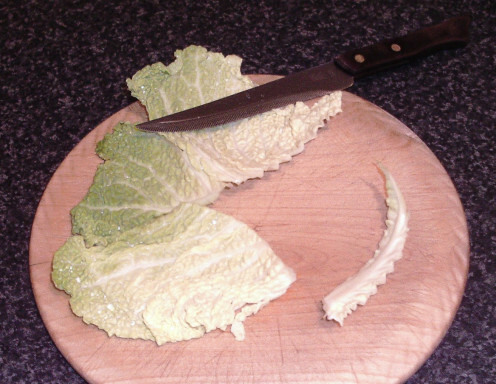 It may not be necessary (depending upon the type of cabbage you have bought) but some cabbage leaves have a tough central core which should be removed before each leaf is rolled and shredded. 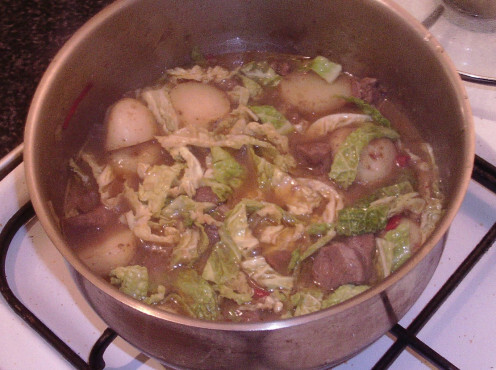 Add the cabbage leaves to the stew twenty minutes after the potatoes and stir through before simmering for ten final minutes. Carefully taste (remembering how hot it will be) and season with a little more salt and pepper if required. 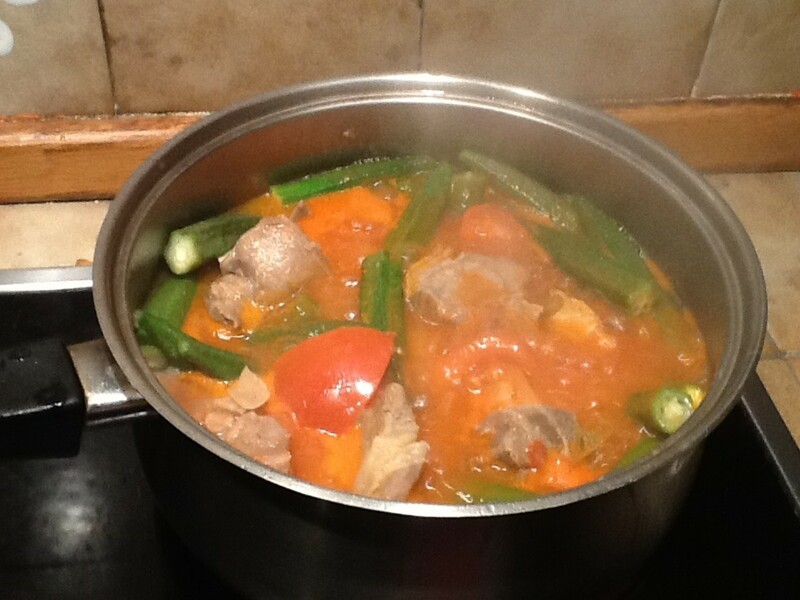 If by chance the stew is not as hot as you would like it to be, you could consider adding a little Tabasco sauce but do remember to be careful with this stuff as just a few drops will make a huge difference to the heat. Turn the heat off under the pot and leave it to sit for ten minutes. 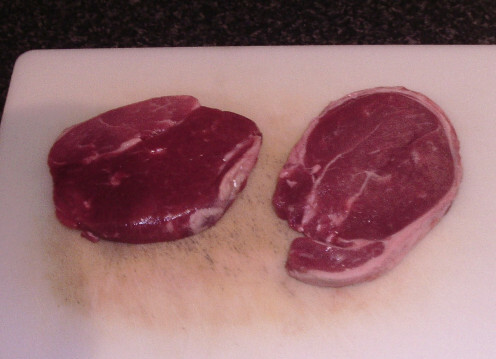 This is not absolutely essential but does partly form the equivalent of letting the meat rest slightly. Ladle or spoon the stew in to serving plates or bowls and serve immediately, perhaps with some fresh crusty bread if desired. Thank you, peachpurple. 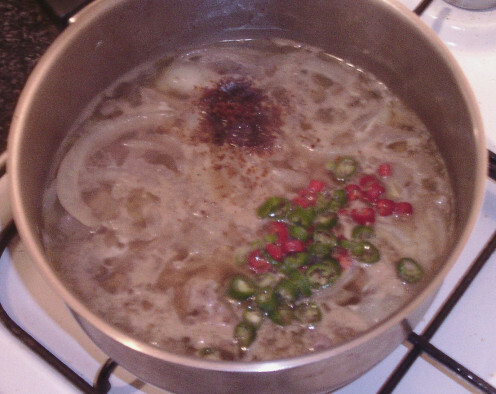 Yes, in this instance it was a little bit spicy but that can easily be controlled by the strength of the chillies. 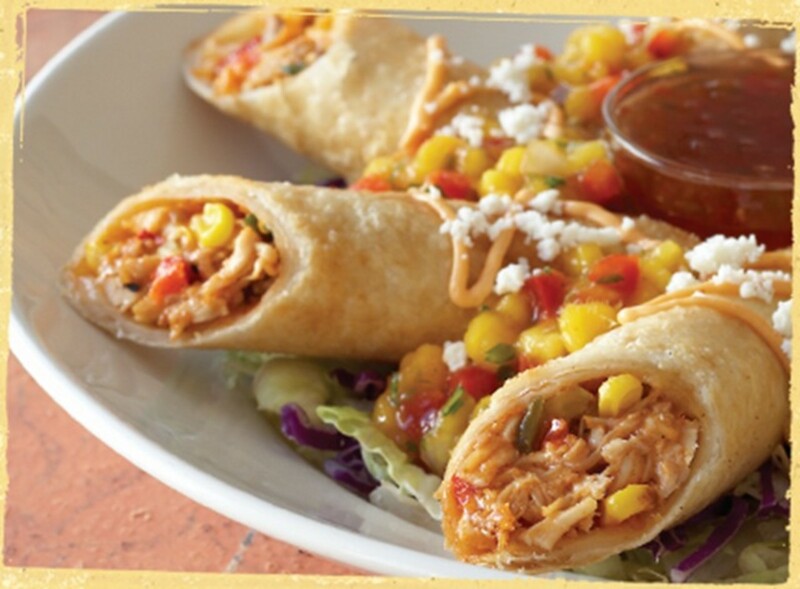 Hope you get the chance to give it a try.